While the Himalayas are a Mecca for mountain climbers, its spellbound beauty always leaves me speech-less. Its the beauty of the himalayas which always draws me closer to it and somehow I find time from my busy schedule and plan a trip. The group comprised of myself accompanied by my wife and my office colleague's family including their 6 years child. Day-1 dated 23.05.2015: Huge rush and high waitlisted tckt could not suppress us to undertake our journey and inspite of the fact that my ticket was not confirmed, I boarded an AC compartment of the Padatik Express after consulting with TT. Out of 5 tickets, 3 were fully confirmed and my wife and me were one of the unfortunate ones whose tckt were not confirmed. The TT somehow managed to give us a berth and after paying the requisite amount, I went for a tight sleep. The train reached NJP at its schedule time and after refreshment at my colleague's relative's house, we boarded the sumo arranged for us by Alpine Naturebeyond Travel agency. (+91-353-2500656). It was a cloudy weather at Siliguri . 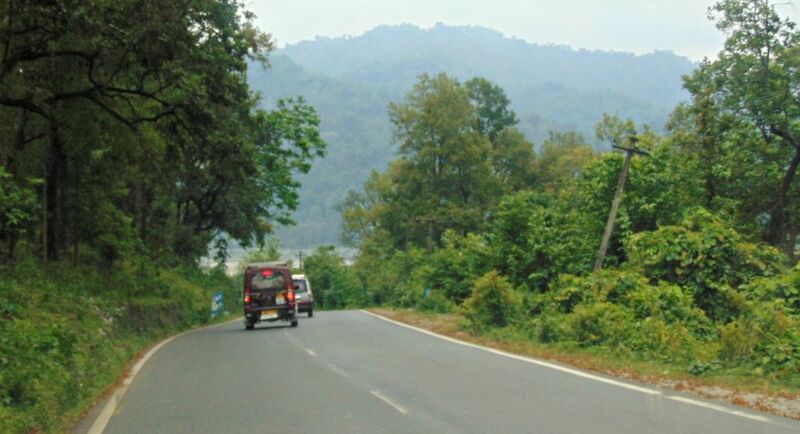 Very soon, we started the leaving the crowded roads of Siliguri and entered Mahananda wildlife Sanctuary. The first glimpse of the Himalayas triggered the happiness within myself. On the way, we visited Sevoke Kalibari. 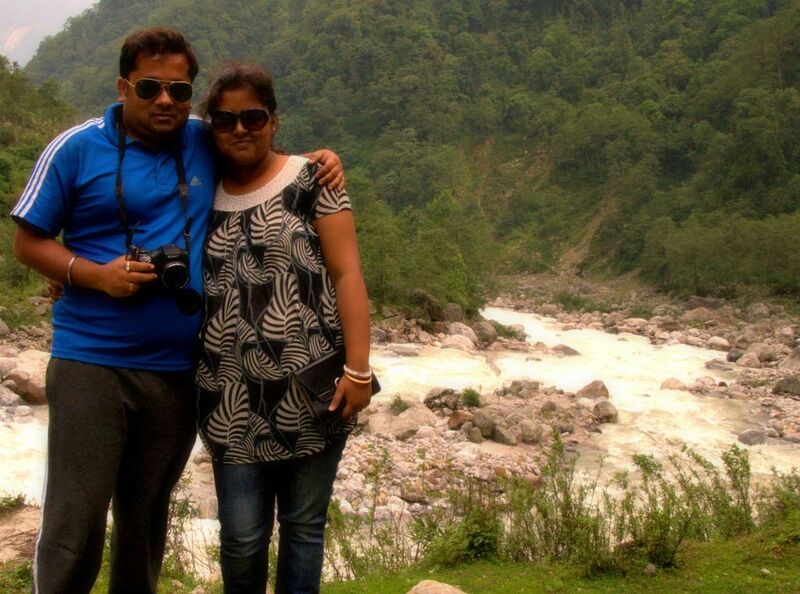 By this time, River Teesta was visible at its full beauty, dancing and frolicking among the rocks surrounded by thick green forests. Soon after crossing the Sevoke, we started feeling the sharp decline in temperature. The thin serpentine road on the lap of the lower Himalaya started making our journey a bit tiring but everything was solaced by the road side greenery and with the constant companionship of the river Teesta. 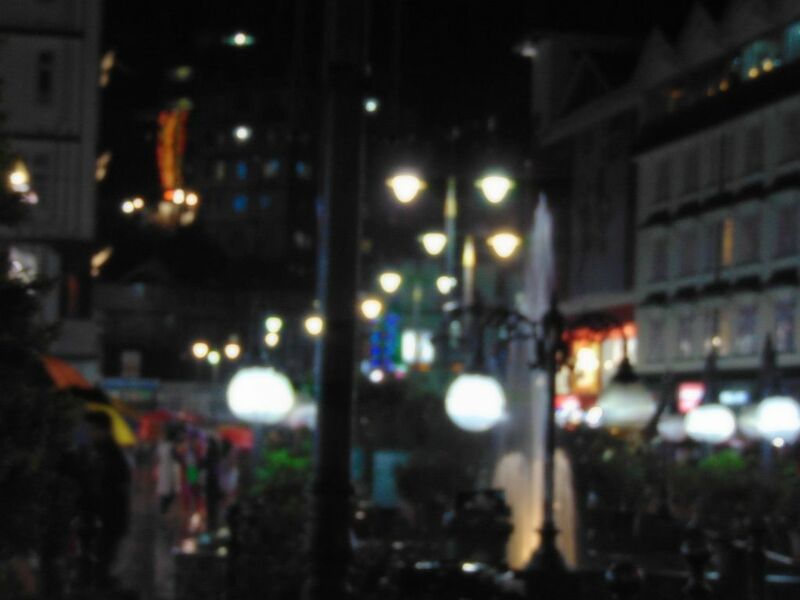 On reaching Gangtok in the evening, we were greeted by torrential rains. I started wondering whether we would be able to undertake journey to such high altitudes. 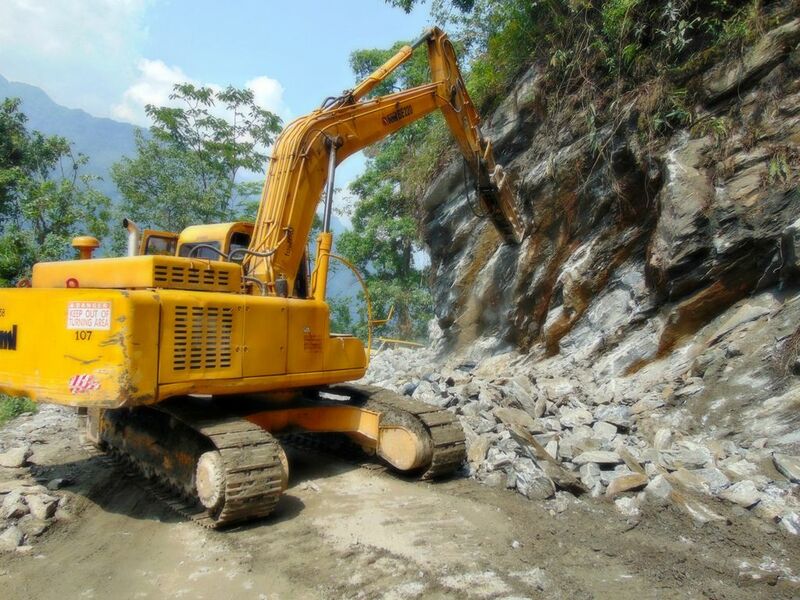 You cannot predict the weather of the hills and North Sikkim roads are always prone to land slides. One land slide and you are disconnected [Blush][Blush]. The latest equipments, tools, tackles, machineries of BRO (Border Road Organization) can give you emergency relief but nothing in the world can withstand the Natural disaster. Nature had its own laws and it rules. 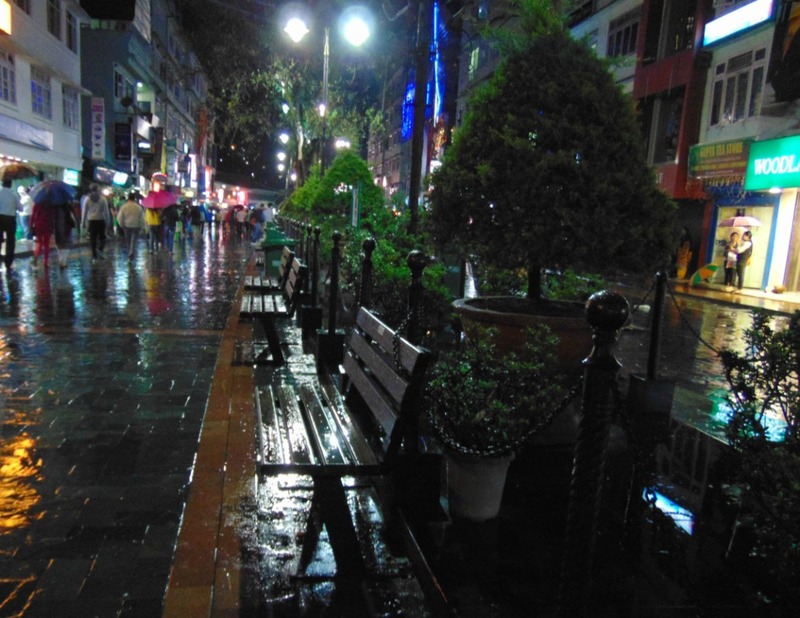 After a quick fresh up, we went to MG Marg and the words will fall short to describe the beauty of the MG Marg at a rainy evening. In the night we revealed the fact that due to land-slide Lachung is inaccessible and BRO are on their duty to clear the roads. We were supposed to head towards Lachen and I felt little relaxed hearing the fact that roads to Lachen and Gurudongmar lake is till open and Permits are being issued by the ITBP (Indo Tibetan Border Police commonly referred as Army by many) and Sikkim police. Day-2 dated 24.05.2015: I woke up early in the morning only to discover that the weather was foggy and no signs of Kanchenjanga. My wife started packing up soon after she waken up as we were to check out and proceed towards Lachen. 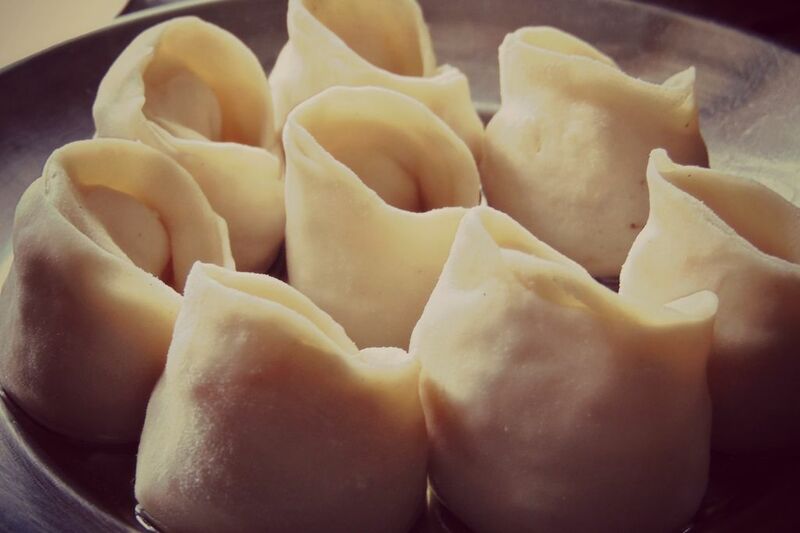 Quickly I visited Lal market and enjoyed a plate of hot beef momos. At about 9 o clock, we started our journey to North Sikkim. Up the hills, weather was sunny and cold. We hoped that the rains may subside at higher altitudes. We started from Gangtok and soon the city disappeared. We were heading towards high altitude, to witness the beauty of North Sikkim which cannot be described in words. I was surprised to see the road conditions which has been improved drastically compared to what I have found in the month of December 2014. If administration wants, they can create wonders. They have the fund, they have the resources but unfortunately in majority of the cases, administration hardly focuses on the development of infrastructure. Just think that if they can create wonders in such high altitude up in the mountains, what they can do in the plains!! Attitude and willingness to develop matters. At about 11:30Am, we reached Mangan. 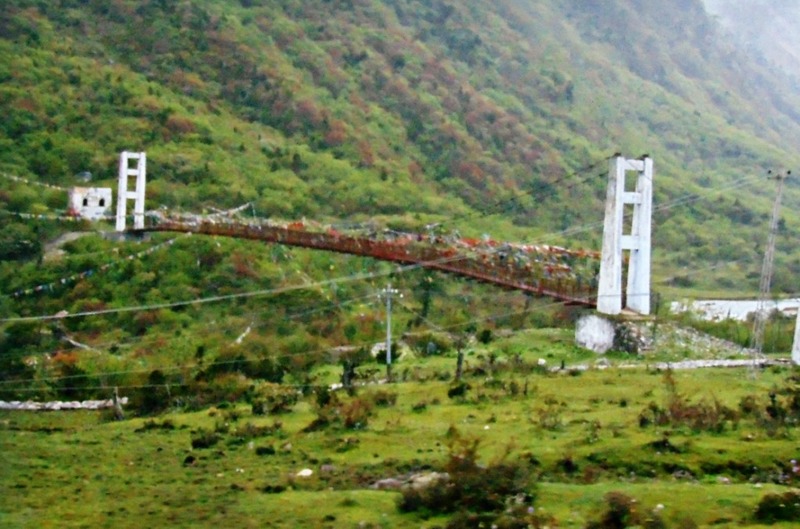 Mangan is the headquarters of spectacular North Sikkim district. 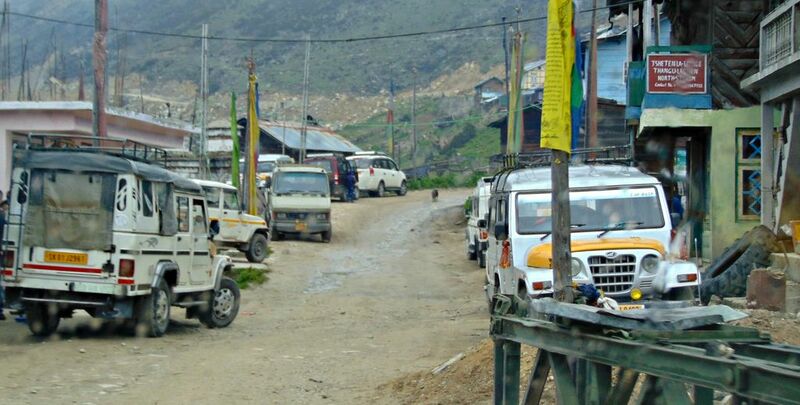 The North Sikkim highway from Gangtok to Chungthang passes through Mangan. 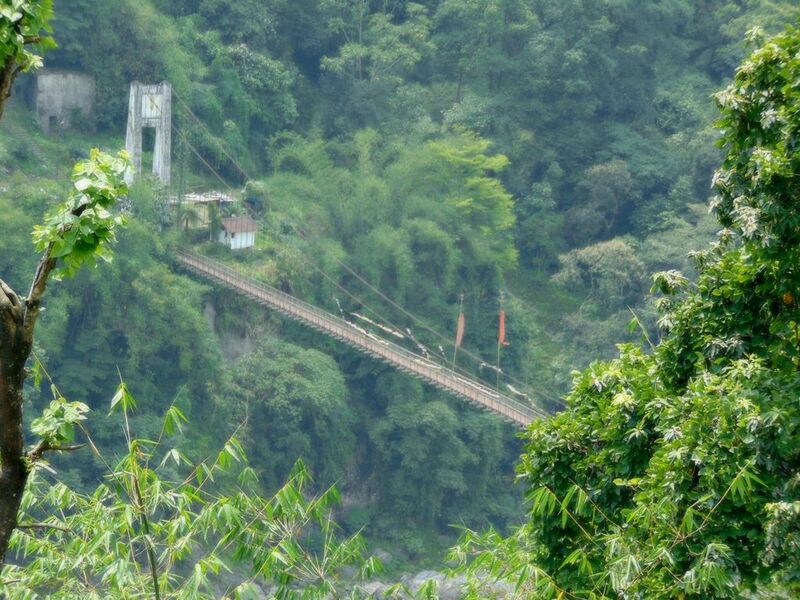 Apart from being the entry point to North Sikkim, Mangan is also an attractive tourist destination on its own right especially with the great view of the Kanchenjunga range offered from here. Very close to this town lies Dzogu – Linghtham area. 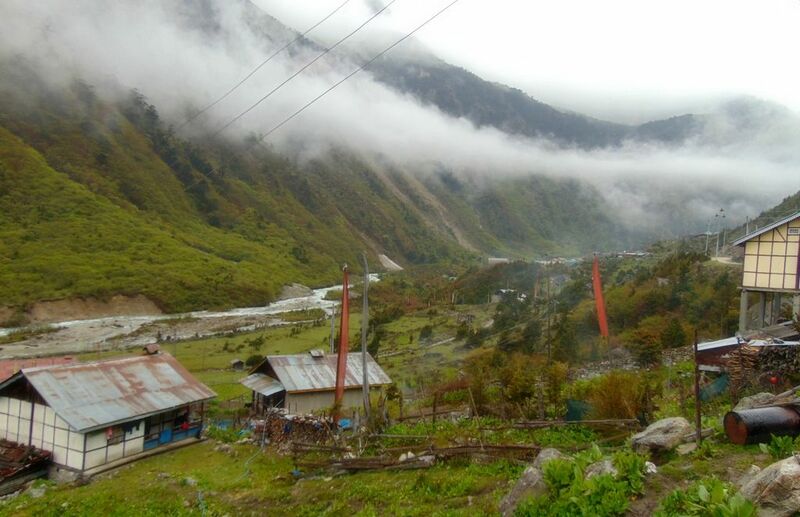 The area is home for the Lepcha people, original inhabitants of the land. The pristine beauty of the flora and fauna make this place even more beautiful. Being not too high, the temperature here remains pleasant throughout the year, probably another reason why Mangan is favorite amongst tourists. One can get panoramic view of Mt Kanchenjanga from this place. In fact the view offered by the almighty from Singhik (few kms away from Mangan) will leave you speech-less. I hv seen the Kanchenjanga peaks both from Peling and Singik and carry a view that scenic beauty of Kanchenjanga is more beautiful if seen from Singhik than Peling. We halted for lunch at a small local eating joint. 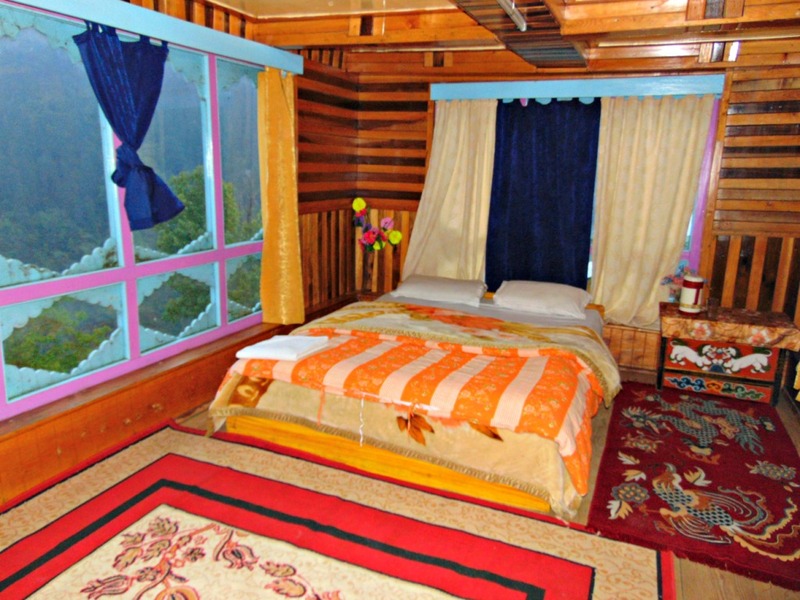 These places are mostly run by Lepcha/Bhutia families and are often a part of their living quarters. After quickly finishing our lunch, we proceed further. The beauty of North Sikkim started unfolding itself as we headed further. One after the another waterfalls, scenic beauty at every turn made the journey worthwhile. At places we witnessed the BRO personnel clearing the roads. 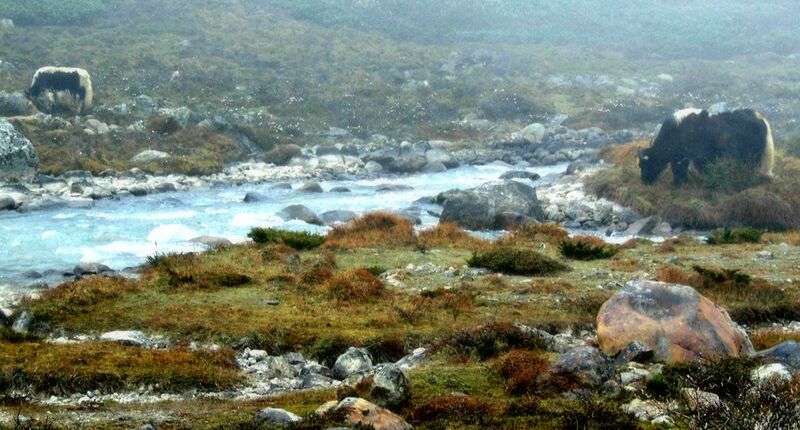 The exceptional natural wonders of North Sikkim will mesmerize you to no limit. The entire journey offers ever-changing views along the way including rustic wayside hamlets surrounded by terraced fields, monasteries, torrential mountain streams with lush green forests everywhere. After about 2 hours of steady drive, we reached Chungthang. 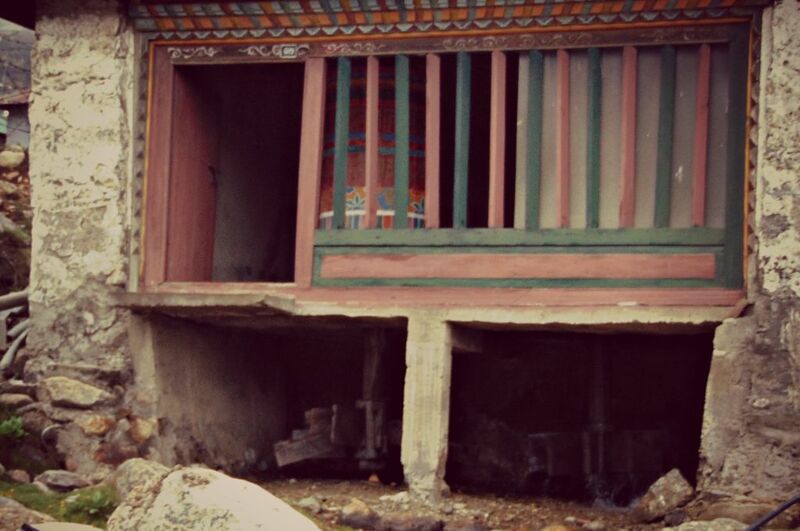 Chungthang is a small settlement that seems to have been spared of the ravages of modernity. However, the incursions of mobile towers indicate that civilization is slowly but surely making inroads into this pristine setting. 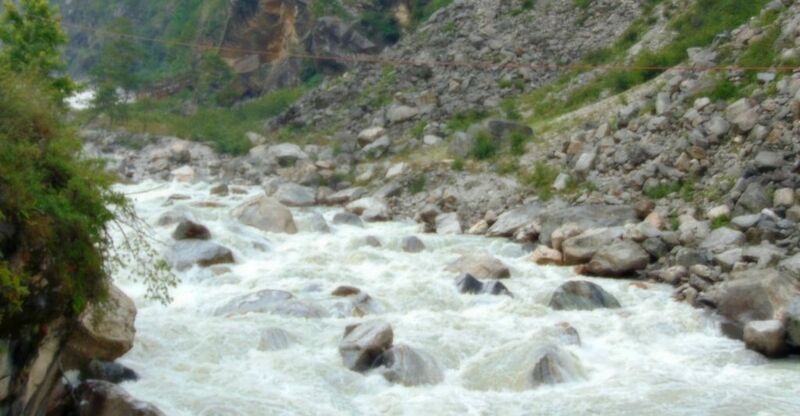 It is situated at the confluence of two rivers: Lachen Chu and Lachung Chu, both tributaries of the River Teesta originating from lake Gurudongmar and lake Cholamu. ITBP have their base in Chungthang and tourist have to get their Inner Line Permit documents checked here (At Toong, few kms away from Chungthang). 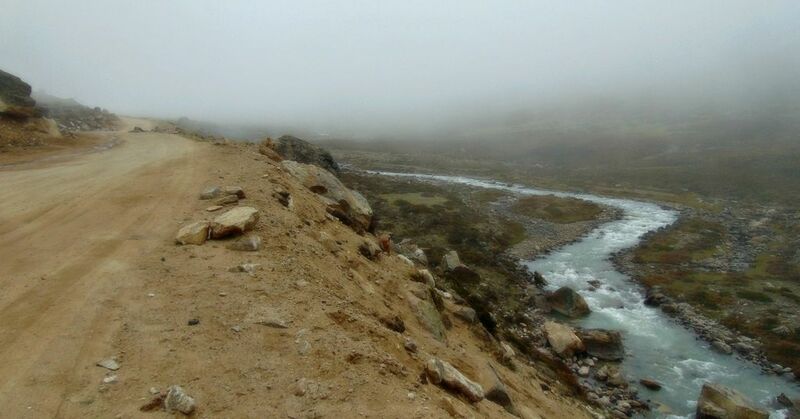 The roads bifurcate from Chungthang, leading to Lachen and Lachung. The driver showed us the land slide point which had turned Lachung into an inaccessible village at that point of time. Lachen is located at an elevation of 9800ft. 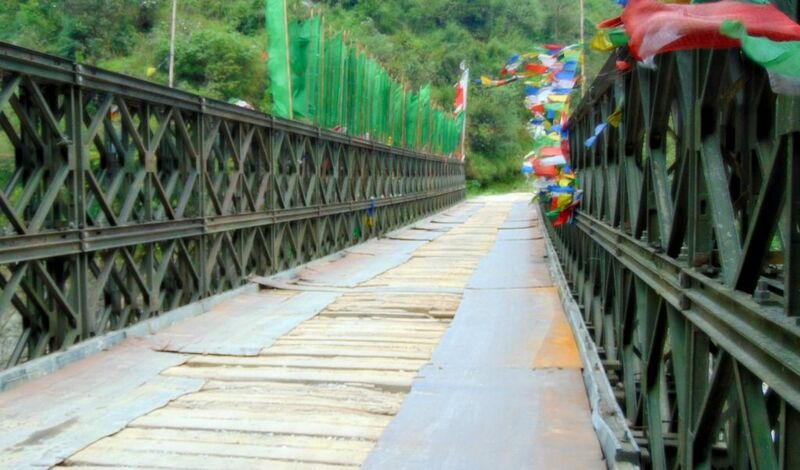 You will start gaining height right after crossing Chungthang and you will find Lachen-Chu river accompanying you through out your journey. This white milky river has its own beauty. 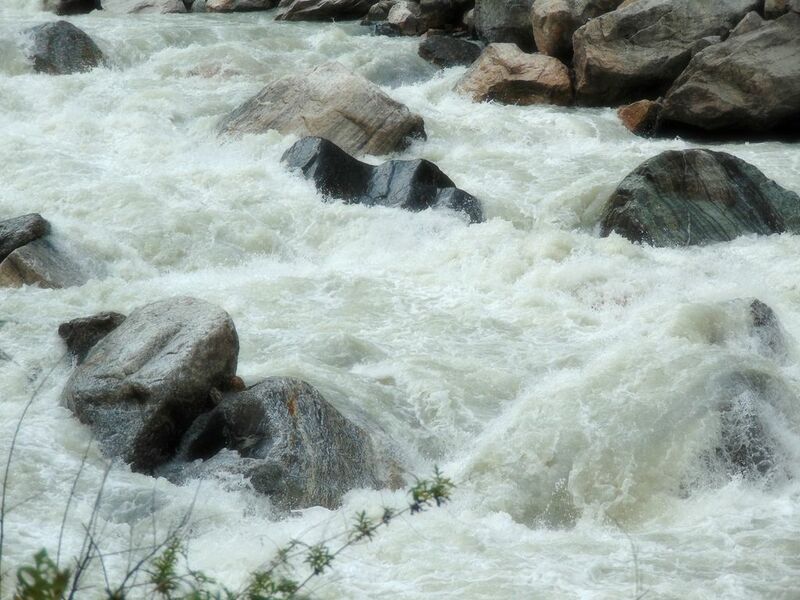 The beauty of the river passing through the laid round shaped stones/boulders will not let you move your eyes from it. We were simply spellbound by the sublime beauty of the Lachen-Chu river flowing through Lachen valley. At the evening we reached Lachen. It was raining lightly. The name Lachen means "big pass". The town forms the base to the Chopta Valley and Gurudongmar Lake and is the base camp of the famous Green Lake trek. The backdrop of towering snow peaks, alpine flower valleys and vast plateau enhances the beauty of this small village. 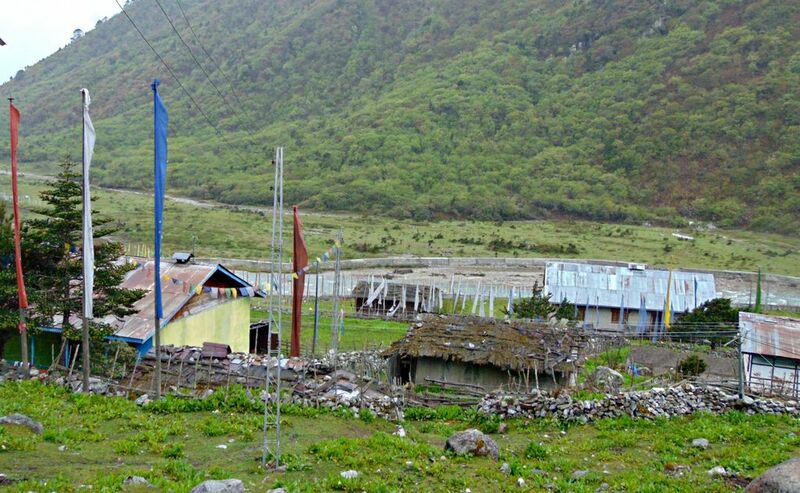 With many incredible attributes with respect to landscape, people, culture, seasons...and each more fascinating than the other... this Himalayan village in the north east of India, transcends the most ethereal of travel experiences. Lachen radiates charm, life and colour. Prayer flags fluttering in the chilly mountain breeze embody not only a strong Buddhist sentiment, but also stand testimony to the indomitable disposition of the Lachen community, which comprises migrant Buddhist Bhutia, yak and sheep herders called Lachenpas. The hotel arranged for us was also gem of its own kind. We stayed at View Point Lachen. The overnight rain made the weather chilly. We could not take a drink as it was not advisable to drink before undertaking journeys at ultra altitudes. The driver reminded us to wake up early and get ready by 3:30AM. We retired early to bed. The in numerous pictures of Gurudongmar lake started playing a slide show in my mind. We departed early in the morning. Lachen Chu river started accompanying us. Early morning view of this brooke cannot be described in words. :). Outside it was drizzling, and we continued our journey towards higher terrain in the dark. Slowly and slowly we started gaining altitudes. As we ascended from Lachen the terrain started getting bleaker and browner. At about 6:30 AM, we reached Thangu. 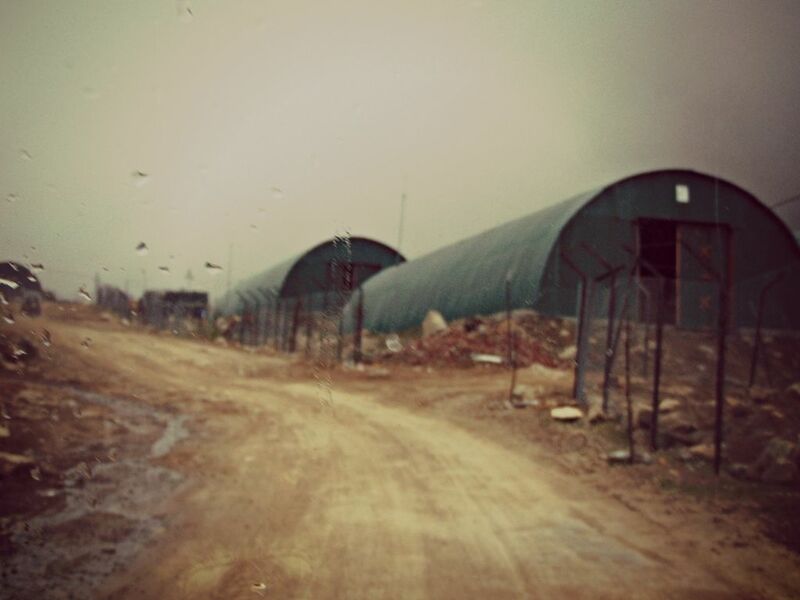 This hamlet is of strategic importance due to the presence of ITBP resources. The alpine vegetation of Thangu is acclaimed for its natural beauty bestowed from the hand of God. Its alpine meadows are dotted with wooden houses and army camps. We stopped at a remote joint for taking our breakfast. The taste of Cheese made from Yak milk, bread, jam and omlette was awesome. The feeling at an height of 13500 feet makes it even more tastier. 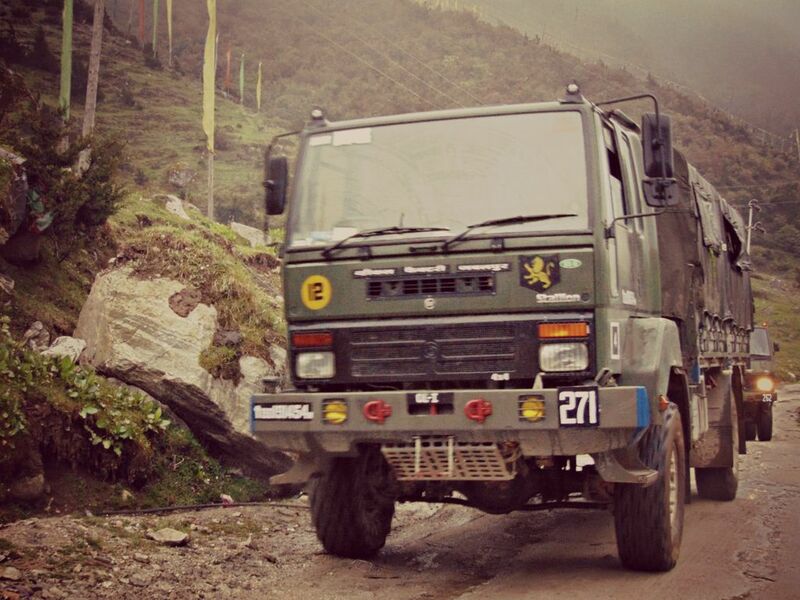 We started from Thangu towards Gurudongmar lake and very soon reached the army check point. A 7 feet tall military personel advised us not to undertake the journey as we were having a 6 years aged child with us. My colleague felt disheartened and upon request the army personel intimated us to sign a declaration that in case of any emergency, no rescue mission can be done at such a high altitude. When the authority discourages you, you will not be able to take any decision. We decided to proceed ahead though the child's mother did not give her consent. We were on our final lap to the Gurudongmar lake. Slowly and slowly natural vegetation started disappearing. Due to lack of oxygen at this height, natural vegetation is completely absent in this place. This transition of landscape, from the conifers of Lachen to the cold, dry desert of Gurudongmar is the most striking transition that I ever witnessed in my life. 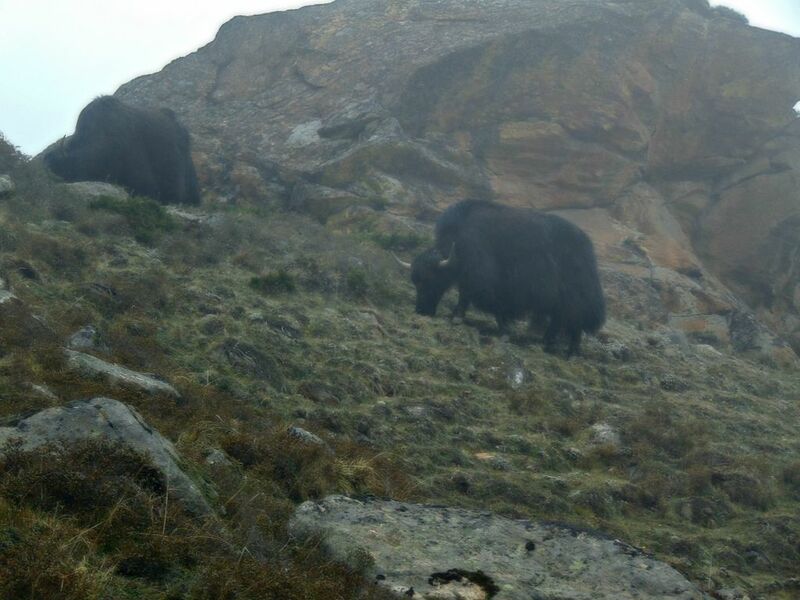 Yaks, Lachen-Chu river were only accompanying us and believe me that there were no signs of vegetation. I realised that slowly and slowly we are entering towards Greater Himalaya, Tibetan Pleateau. Suddenly, my colleague started filling problem of breathlessness. We stopped the car. He was clearly falling short of his breaths. we were at 15500ft + height. We decided not to proceed further. I was feeling restless. My dreams were about to be shattered. Suddenly our driver stopped one car and asked the fellow passengers to give me and my wife a lift upto Gurudongmar lake. Upon lowering the window glasses, I found that they were staying at our hotel only. I quickly narrated them the whole story and initmated them about our problem. They agreed to give us a lift. I quickly shaked hand with my colleagues and they wished us best of luck. We were seperated. Gurudongmar peaks were clearly visible now . We also noticed sight of few traveler vehicles. Within few minutes, we were t Gurudongmar lake. The driver stopped the car but I noticed that he did not get out quickly. He waited for few minutes and then opened the door and advised us to get down from the car very slowly. We slowly get out of the car. I was feeling little nervous as I heard of many stories. Till now, I was fine. I got out of the car and took the first sight of the great Gurudongmar lake. The snow-fed milky water of the lake was clearly visible. To its back, I saw Khangchengyao Range and is encircled all around by snow-covered mountains. All your fatigue and doubts of having traveled for thousands of Kms to see Gurudongmar vanish at the first sight of the lake. The entire view was fabulous. It is very difficult to imagine a lake of this size situated in the middle of the cold desert. It is said that the entire lake freezes in winter with the exception of one small portion which has been blessed by Guru Padmasambhava. And it is he who lends his name to the lake, which is scared for the Sikkimese, Hindus and Buddhists. The stream emerging from the lake is one of the source streams of the Teesta river. I went down to the lake and took some more close up views. Clearly I was feeling short of breathe. The reduced level of Oxygen in such an ultra altitude had its own adverse effect. I was feeling thirsty. I could also feel slight head ache due to the chilled wind and snow flakes flowing. I could feel that I am loosing control of my feets. My wife suggested me to come back. We were at the lake only for about 30 minutes when the wind started to pick up. Soon, it became a snow blizzard. My dream to be at Gurudongmar lake was accomplished. YES!!!! 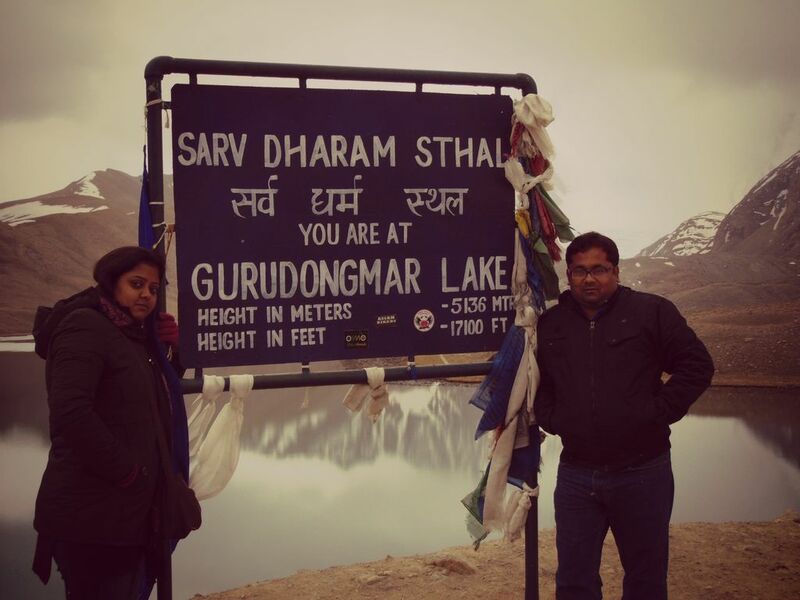 WE WERE AT GURUDONGMAR LAKE!!! Done brother. Also added the remaining part of the story. Kindly go through it. Thanks for sharing this Sourabh. Enjoyed the photos. Excellent Trip Report Sourabh... Nice pics...!!! Truly enjoyable...haven't you all taken precaution against altitude sickness ? My wife had taken Coca30 along with her. She kept on taking prescribed dosage. I had not taken anything. :). We drank lot of water. You people hasn't faced that problem which the other family faced. What about them ? Soon after they descended from that point, they started feeling well. Actually due to lack of supply of Oxygen in the brain, our system starts malfunctioning. A sharp decline in altitude can bring everything under control. I know that..I was only asking if they haven't taken any precaution or not. They had also taken medicine. May be due to extreme nervousness and tension, they started feeling uncomfortable. After we crossed Thangu, Army told them to proceed further by signing bond. This may cause nervousness among them. Moreover, stories of low oxygen level at Gurudongmar lake is popular. However, I strongly feel that if you can keep quiet, calm than you can complete the tour without any trouble enjoying the immense beauty at such attitudes. [QUOTE=Sourabh Bose;1890582]They had also taken medicine. May be due to extreme nervousness and tension, they started feeling uncomfortable. After we crossed Thangu, Army told them to proceed further by signing bond. This may cause nervousness among them. 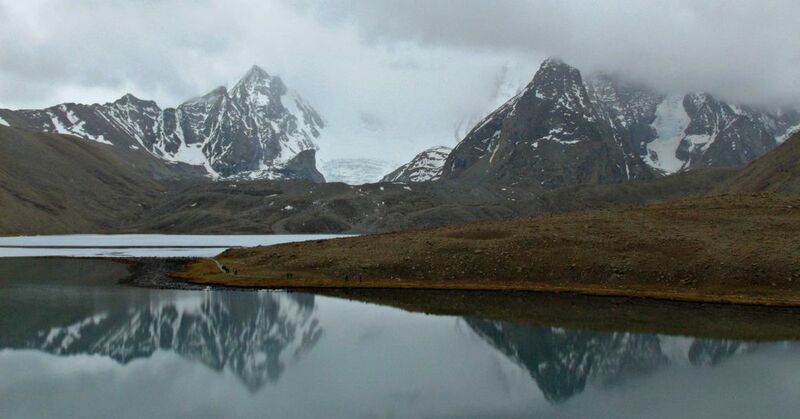 Moreover, stories of low oxygen level at Gurudongmar lake is popular. However, I strongly feel that if you can keep quiet, calm than you can complete the tour without any trouble enjoying the immense beauty at such attitudes. Very true..Without considering all other medical facts and stories on Gurudongmar, people should enjoy its beauty with a fact established in their mind that come what may I'm going to get well since I'll be staying here for a while and then descend to Lachen which will make me fine. 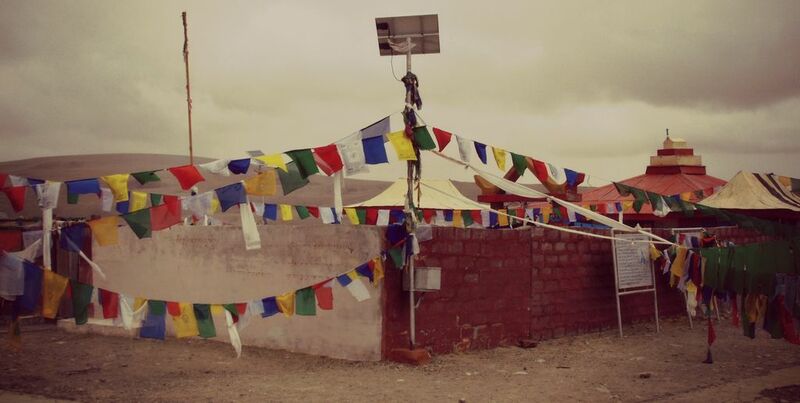 I've seen your pictures from which I assume there wasn't that madly wind flow which generally is a sign of getting unwell at Gurudongmar yet people felt uneasy. I went down to the lake and take a more close up views. Clearly I was feeling short of breathe. The reduced level of Oxygen in such an ultra altitude had its own adverse effect. I was feeling thirsty. I could also feel slight head ache due to the chilled wind and snow flakes flowing. I could feel that I am loosing control of my feets. My wife suggested me to come back. we had walked down the stairs to touch the heaven's water and made those stone turrets on the lakeside.And i can still feel the pressure building on my chest while climbing those few steps back. 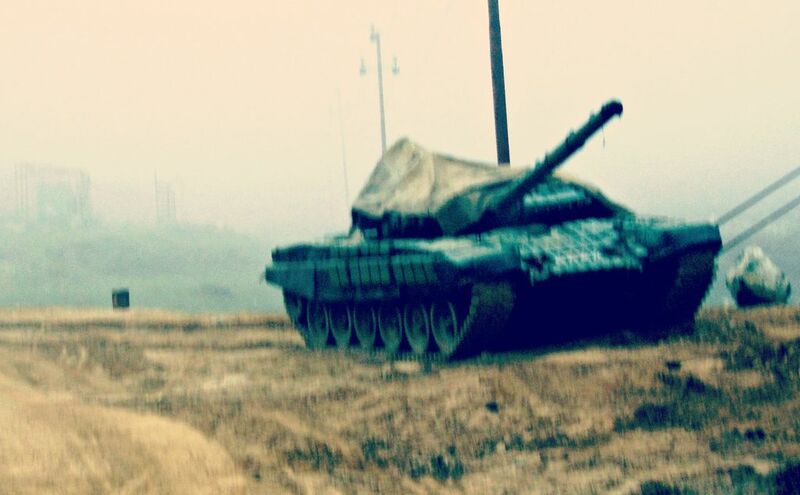 Thanks for sharing.Do you have a pic of those turrets? No I dont have picture of those turrets. Srry mate.